On July 22nd, Houkago Princess revealed a new Cadet member. Sakurai Riho has joined the group as a 5th generation student, and will be the 'Classical Chairman'. She decided on this position because she has been playing the classical piano ever since she was three years old. Sakurai Riho has a blog, and has posted her basic profile for her first post. Sakurai Riho has joined Suzukawa Kana and another member as a new generation of Cadets, however she is the first to have a blog. First generation member Chiba Sakino and Cadet member Aiuchi Kohana both graduated on July 21st at RUIDO K2. Aiuchi left a long message thanking her fans and friends for supporting her in Houkago Princess on the Cadet blog. Also, I have recently found out that Nagafuji Aoi, the last second generation member of Houkago Princess, had also graduated the group back in June on the 30th. Her blog has since been terminated, however her twitter is still active, but she has not tweeted since her graduation ceremony. She had originally announced her graduation on June 26th. On July 21st, Cadet member Ayase Miho was successfully promoted to become a full member of Houkago Princess. She has joined Sakuragi Nene, Mirai Yamaguchi and Shiraishi Rika as a 3rd generation member of Houkago Princess. 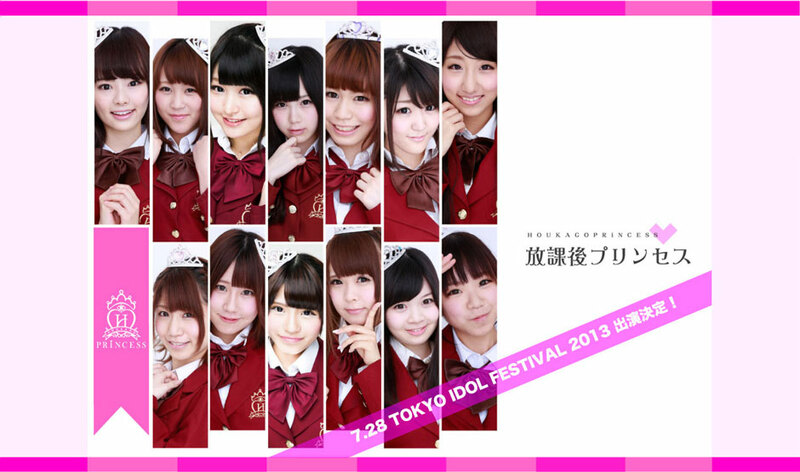 Houkago Princess now has seven general members. In other updates, the official Houkago Princess Website has been updated. The website now only consists of links to the girls' blogs, and news/updates for everyone to follow. The banner helpfully lets us know that there are now only 13 members in the group, three of which do not have blogs yet; Miyashita Mayuka, Suzukawa Kana and another member whose name has yet to be revealed. I am sure that there is now a third 5th generation cadet alongside Kana and Riho, however I will possibly update that at a later date in another post, or on my Digest. Until then though, I hope that this update has helped anyone who is, like me, confused with HouPri and their changes.